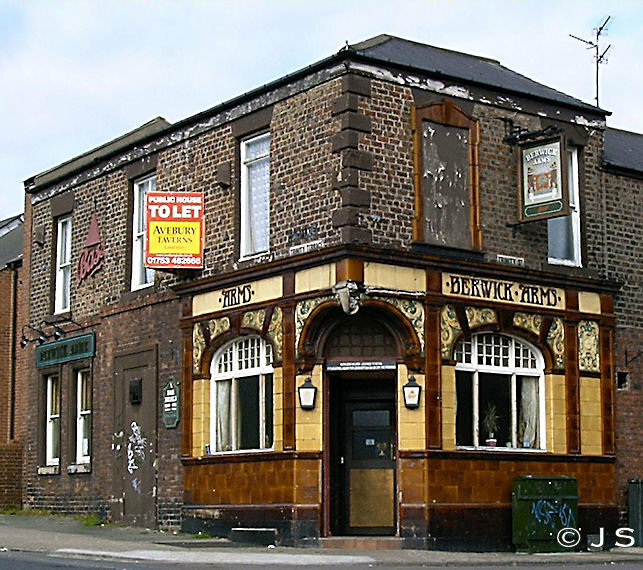 The Berwick Arms in Coach Lane had ornate glazed brick work and terracotta tiles. It changed its name to Trinity's briefly before closing. Like several pubs in the area it suffered from the closure of Smith's Docks ship repair yard nearby.